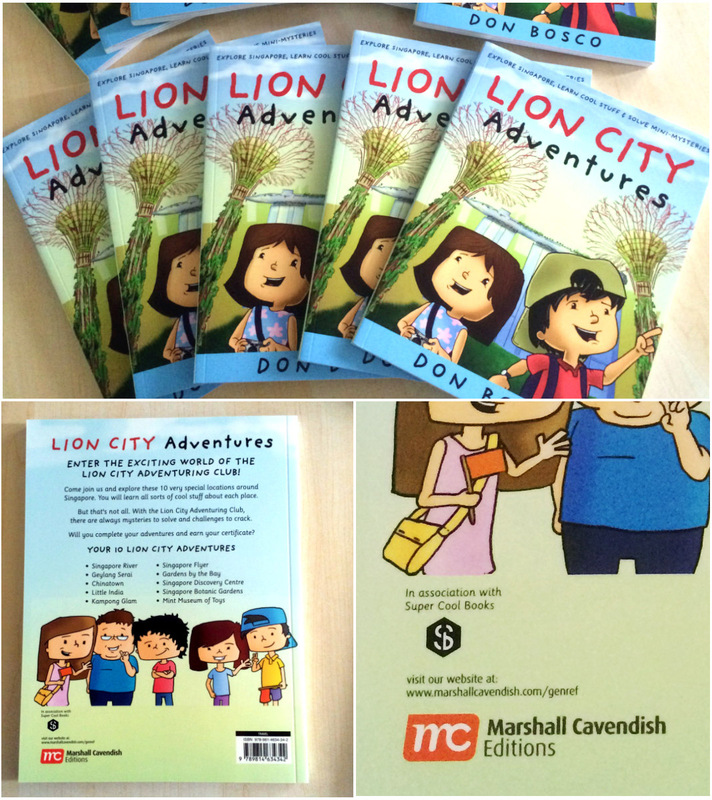 LION CITY ADVENTURES is our new book and it's launching in June 2015. Already available for pre-orders through all major online bookstores around the world. Unlike our other paperbacks, this one is published by Marshall Cavendish Editions in association with Super Cool Books. It is part real-life exploration guide, part activity book, part role-playing challenge with mysteries to be solved at each featured location. This project is essentially an exciting creative collaboration that brings together the talents of one of Singapore’s biggest publishers and a new publishing startup known for digital and DIY publishing. Readers are brought on a tour of 10 fun locations around Singapore. From the Singapore River to Little India, Gardens by the Bay to the Mint Museum of Toys, this book helps children appreciate Singapore’s rich heritage as well as its modern marvels. They also discover the immersive world of the Lion City Adventuring Club, which inspires children to celebrate curiosity and exploration. And as part of their adventures, they have to participate in some role-playing fun and solve mysteries. We're delighted to present this interview with Melvin Neo, Managing Editor, Marshall Cavendish International (Asia). Melvin talks about his role in this project, what he enjoyed about the process, why kids should go outdoors more often, and how the Lion City Adventuring Club has inspired him. Oh, and that's him in the photo above. I am the editor for this project and I have always wanted to work on a children’s exploration book. When I found out about the Lion City Adventuring Club (LCAC), it made sense to work with Don who was one of its most active members. The LCAC has such a long history that dates back to 1894 and its members have had many, many exciting adventures. 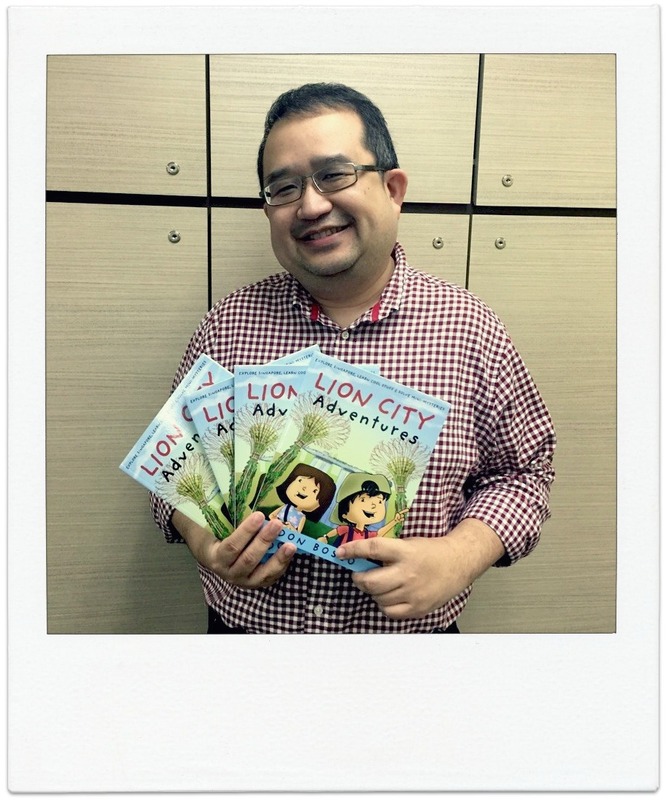 I thought it was time to share some of these adventures with more young readers and inspire them to go out and discover the wonders of Singapore for themselves. What are some things about this LCA book that you like? I like that there are many elements in each chapter. Readers can learn about Singapore’s history, pick up new words, solve a challenge and so on. The different activities in each chapter also introduce readers to skills like keeping a diary and scrapbooking, as well as hone their powers of observation. Children at this age have very short attention spans and the length of each chapter is just right to sustain their interest. Many readers are school smart but these adventures take them beyond the classroom, to parts of Singapore they may not have visited yet. Which is your favourite destination in the book, and why? My favourite chapter would be Little India. Readers are introduced to so many interesting things and I love the drawing of the Indian temple. Plus, I love shopping at Mustafa Centre which is located in Little India. What was your first reaction when you found out about the Lion City Adventuring Club? It is an established club with such a rich history. Why didn’t I know about it when I was younger? I would have loved to be a member and go on outings and make new friends. I could even have become the Chief Adventurer! If you could join the Lion City Adventuring Club today, what sort of activities would you propose? I would help plan heritage-related activities such as excursions and talks. Let the members explore Old Singapore and discover its history and culture. There is a lot more to life than computer games, and children should go outdoors more often and just have fun. Read more about LION CITY ADVENTURES here. Pre-order with free shipping worldwide from Book Depository here.